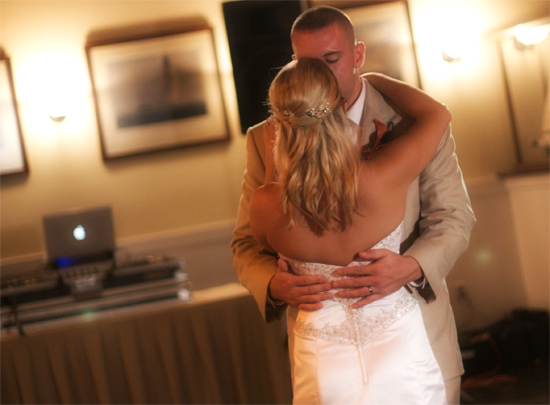 Beat 2 Beat DJs takes great pride in providing the musical entertainment on your special day! From the initial consultation all the way up through the last song of the night, we work with you to make your perfect wedding day vision become a reality! But don’t just take our word for it…be sure to check out our reviews on Wedding Wire — we are extremely proud to have maintained a perfect 5.0 rating with nearly 100 reviews, and we received the Brides Choice Award again in January 2013, marking our 5th consecutive year of receiving the honor! Contact us today to schedule your FREE in-person consultation at our studio with one of our amazing DJs! 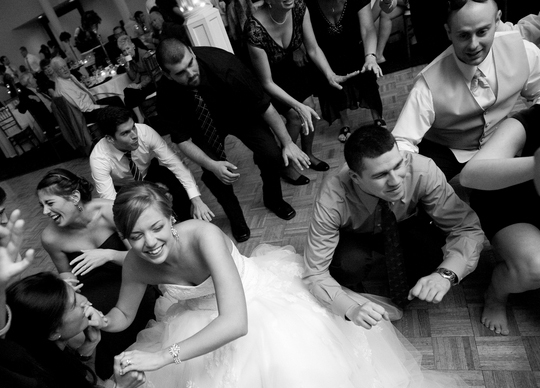 Below is a typical outline of a traditional wedding reception. We will fully customize your reception to fit your own individual preferences, so this is just a rough outline to give you some ideas if you are undecided or need some help. We offer a remote sound system with all of our wedding packages so we are able to provide background music for the cocktail hour, even if it happens to be in an area separate from the reception. This is your night and your formal introduction to your guests should be energetic! (Of course if you prefer a low-key intro we can do that as well). We will act as your MC (Master of Ceremonies) and will handle all of your introductions and formal announcements throughout the entire reception. We pride ourselves in being professional on the mic, so we promise not to make cheesy jokes or sing silly songs. We speak clearly and are informative on the mic, nothing more, nothing less! The Bride and Groom Dance. This is your special moment on the dance floor, your very first dance as husband and wife! Normally, this is followed by the Father Daughter Dance, Mother Son Dance and sometimes even a Bridal Party Dance. Again, we’ll customize this part for you and we can even offer suggestions if you need to find that perfect song! We offer a wireless mic with all wedding reception packages to make the speeches and toasts easy and hassle free! Most couples prefer that we play slow, softer music during dinner, but we can play anything you would like us to! OK, time to party and celebrate! We usually begin with a mix of music that appeals to all ages, then gradually transition to more current popular hits. However, this is your night and we will play exactly what you want us to (and we’ll stay away from those genres or songs that you don’t want played). We can offer suggestions if you’re not quite sure. Also, since we are DJ’s, we pay close attention to your crowd and we’ll program the music to keep everyone dancing all night long. We want you and your guests to have a memorable experience! We can fit these activities in wherever you prefer, but typically we have found that it works best to have them about 30 minutes into the Open Dancing. This allows your guests to catch their breath before the partying continues for the rest of the reception! 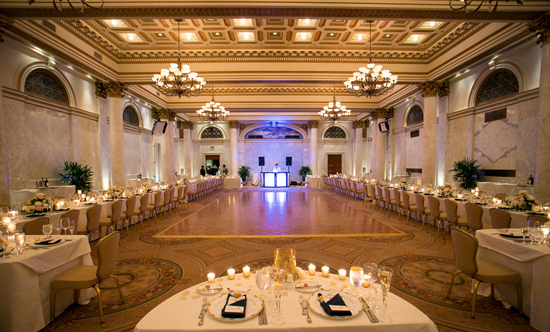 We will assist you in planning any other activities that you would like, including the Money Dance, Anniversary Dance, or anything else that strikes your fancy!